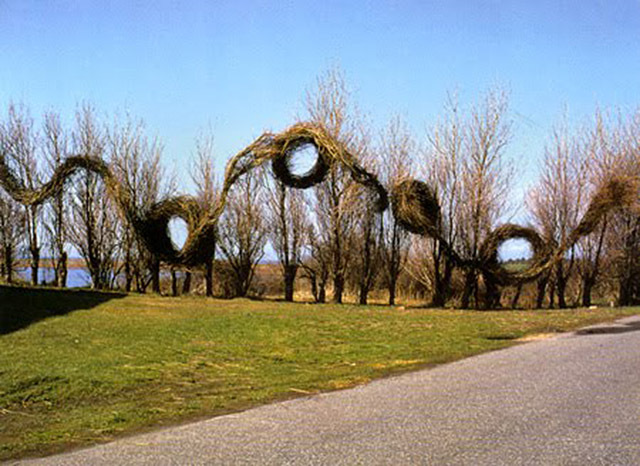 If It's Hip, It's Here (Archives): Stickwork. 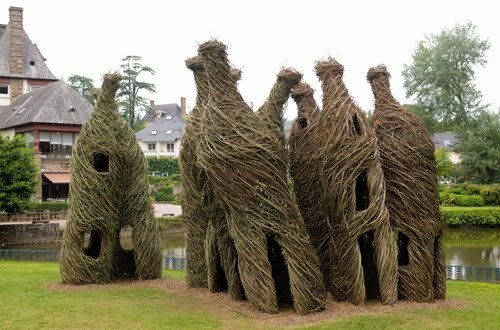 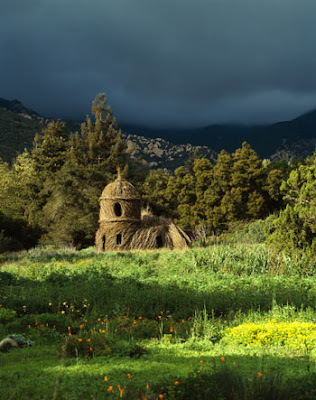 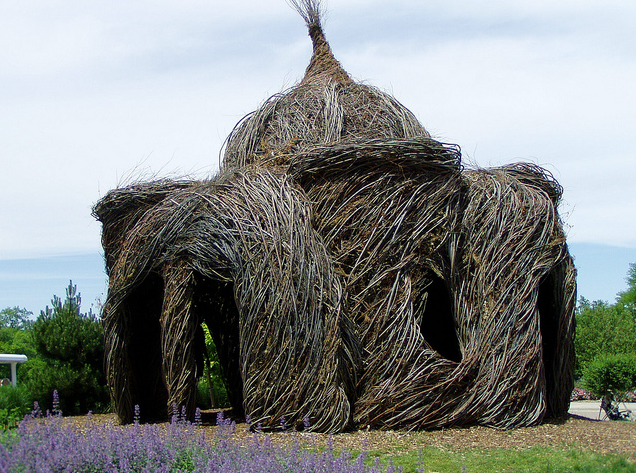 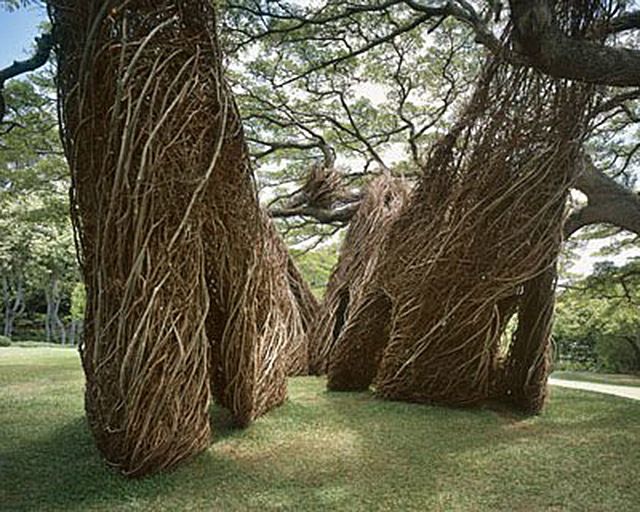 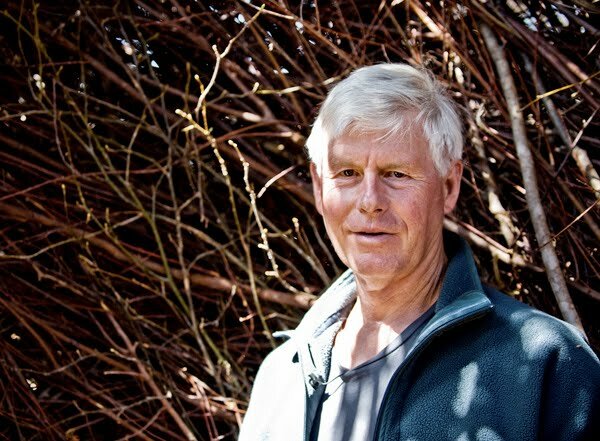 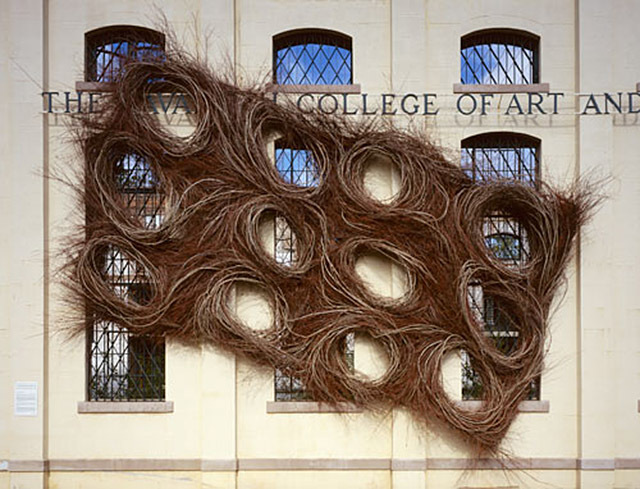 A New Book Featuring The Amazing Work Of Patrick Dougherty. 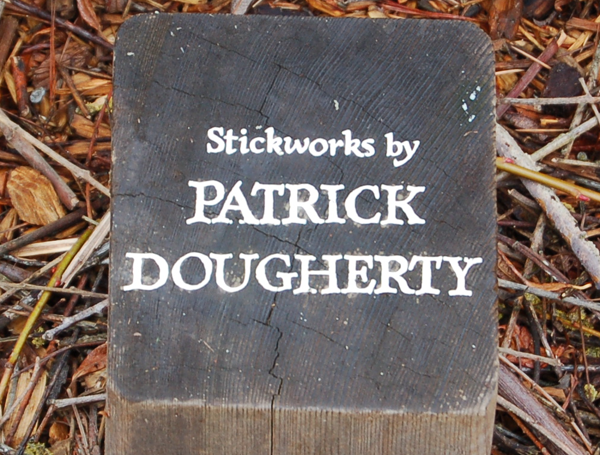 Stickwork. 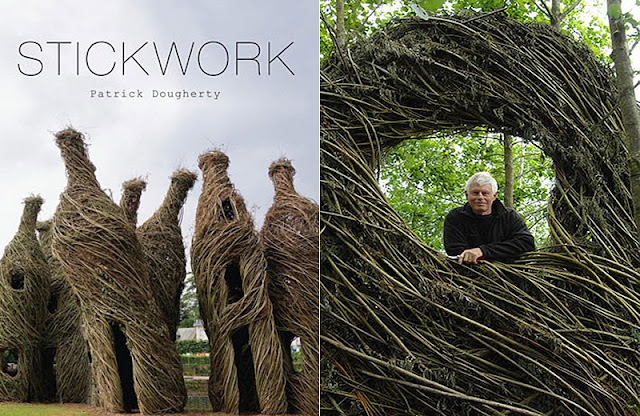 A New Book Featuring The Amazing Work Of Patrick Dougherty. Sometimes It's really nice to pick up an old fashioned book and be made aware of something compelling that may not have been posted on Facebook or Twitter or recently posted on numerous popular blogs. 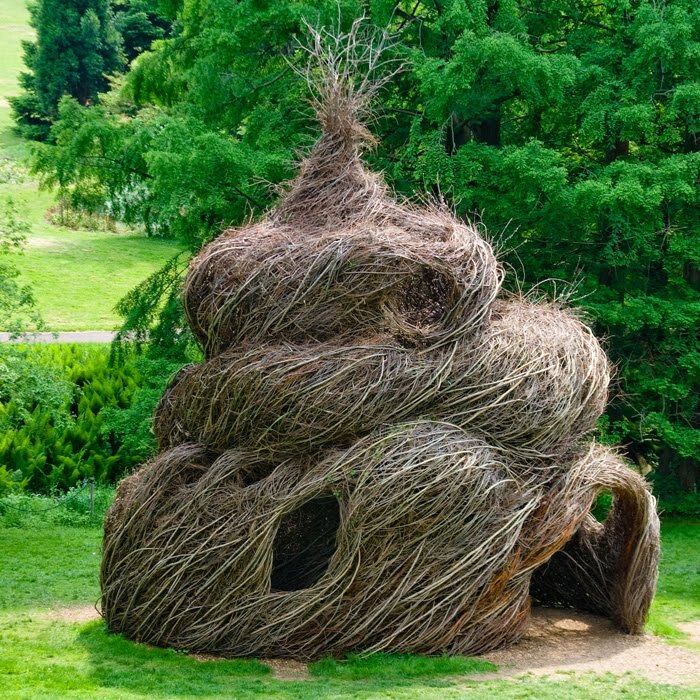 Such is the case when I opened up Princeton Architectural Press' recently published Stickwork, featuring the amazing twig, branch and tree-like sculptural installations of artist Patrick Dougherty. 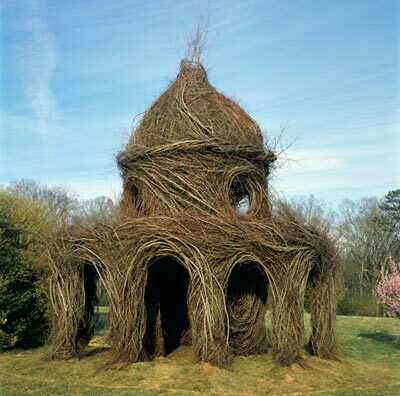 above: Patrick lives in his handmade house of log in Chapel Hill, NC with his wife Linda and son Sam. 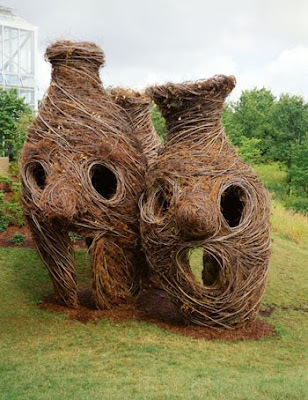 photo courtesy of flickr. 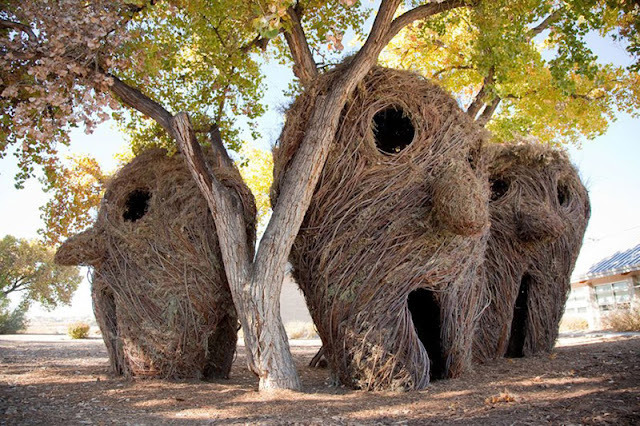 The 208 page paperback book features 230 color and 20 black and white images of the dynamic installations and monumental sculptures that resemble huts, cocoons, castles, beehives and even human figures. 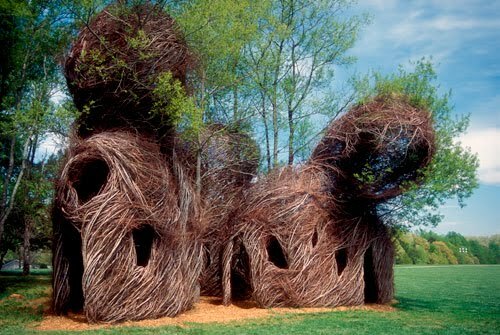 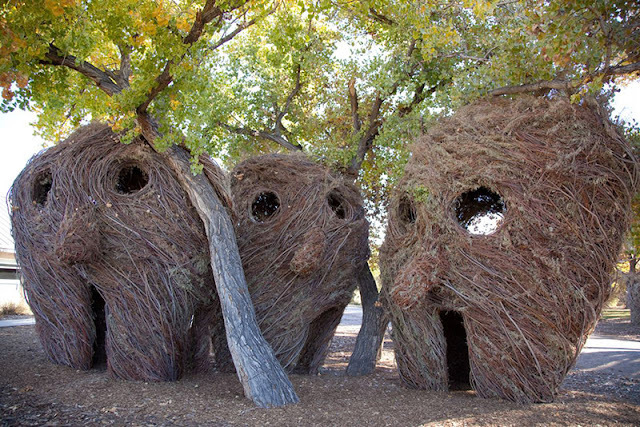 Over the last twenty-five years, Dougherty has built more than two hundred works throughout the United States, Europe, and Asia that range from stand-alone structures to a kind of modern primitive architecture—every piece mesmerizing in its ability to fly through trees, overtake buildings, and virtually defy gravity. 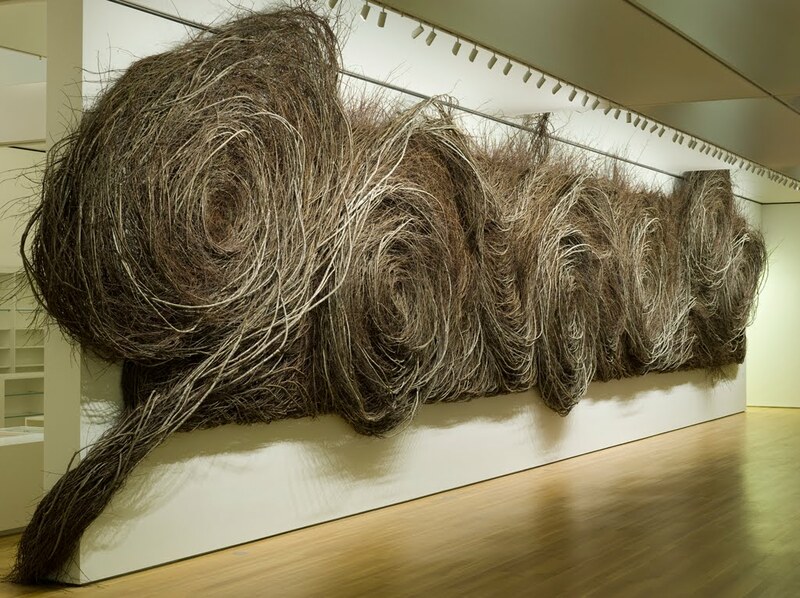 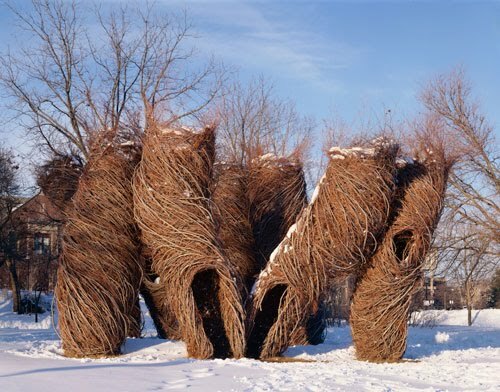 Stickwork, Dougherty's first monograph, features thirty-eight of his organic, dynamic works that twist the line between architecture, landscape, and art. 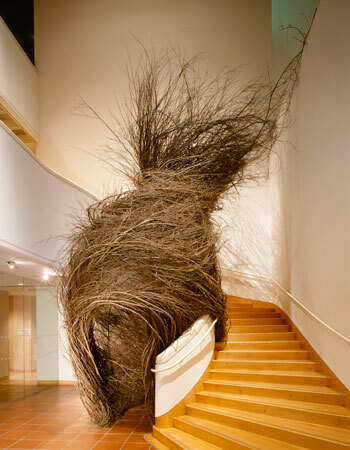 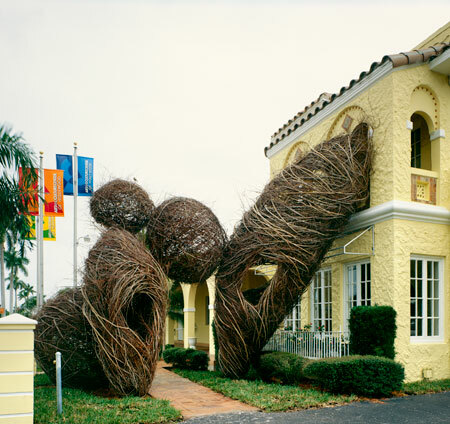 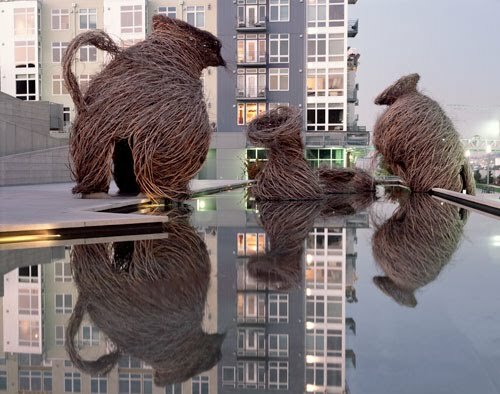 Constructed on-site using locally sourced materials and local volunteer labor, Dougherty's sculptures are tangles of twigs and branches that have been transformed into something unexpected and wild, elegant and artful, and often humorous. 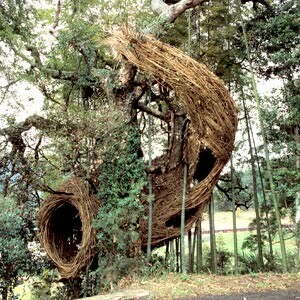 Sometimes freestanding, and other times wrapping around trees, buildings, railings, and rooms, they are constructed indoors and in nature. 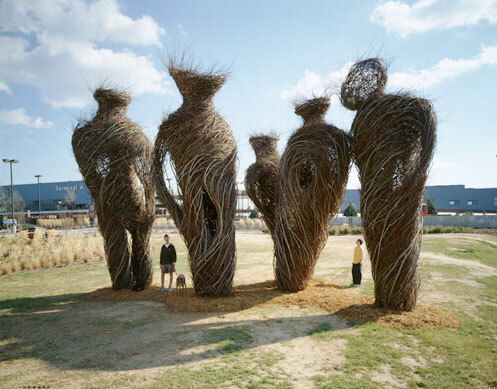 As organic matter, the stick sculptures eventually disintegrate and fade back into the landscape. 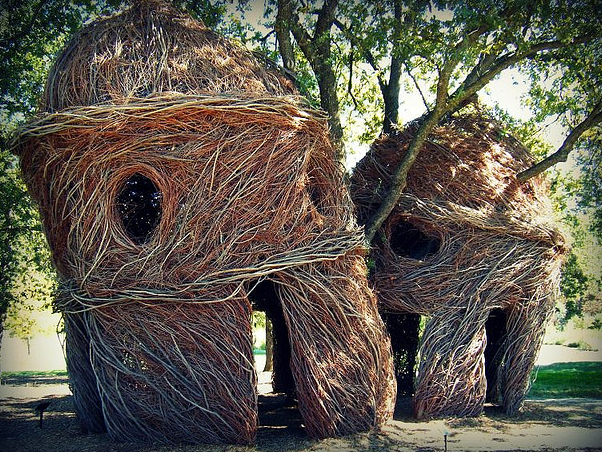 Featuring a wealth of photographs and drawings documenting the construction process of each remarkable structure, Stickwork preserves the legend of the man who weaves the simplest of materials into a singular artistic triumph. 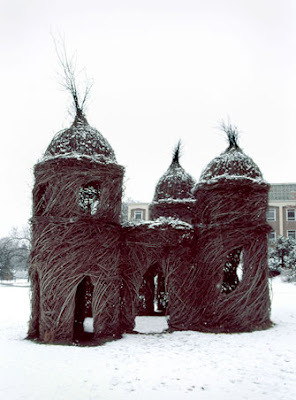 The book is also available in hardcover. 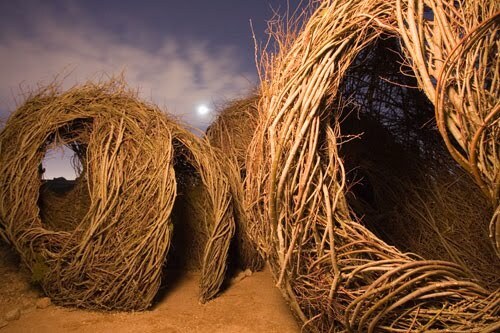 Note: most of these images are courtesy of the artist, however, some came from these talented folks on flickr and the Patrick Dougherty flickr pool. 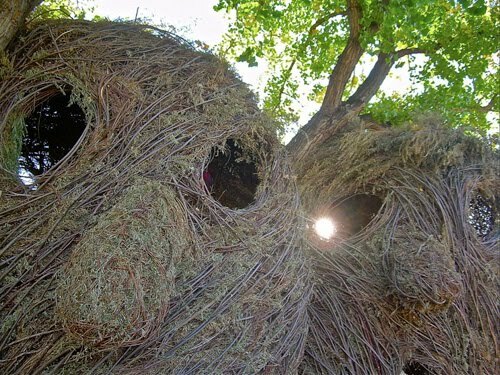 If your photo is in this post and has not been credited to you, it is an oversight. 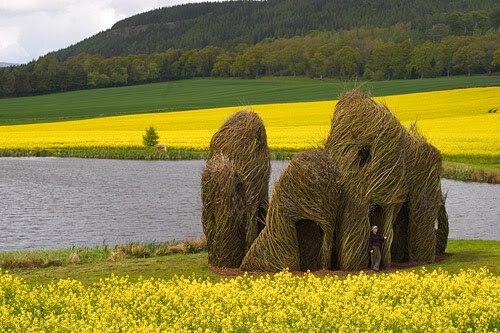 Please contact me and I will put the proper credit or remove the image of you wish.